1 May 2015 marks one year in detention for Swazi political activists Mario Masuku and Maxwell Dlamini. The Southern Africa Litigation Centre is initiating a Twitter campaign to draw attention to Masuku and Dlamini’s cases and the rule of law crisis in Swaziland that has caused cases such as Masuku and Dlamini’s. On 1 May 2014, Mario Masuku and Maxwell Dlamini attended a May Day rally in the Kingdom of Swaziland. At this rally, Mario Masuku, the president of the People’s United Democratic Movement (PUDEMO), spoke about his desire for a multi-party democracy in Swaziland. He further raised concern about the absolute monarchy; and the lack of independence of the judiciary and the rule of law in the country. Both Mario Masuku and Maxwell Dlamini participated in the singing of songs and chanting of the slogans “viva PUDEMO viva” and “phansi ngetinkhundla phansi (down with tinkhundla down)”. As they left the rally they were arrested and accused of terrorism and sedition. Political parties have been banned since 1973 in Swaziland. In 2008, PUDEMO and three other political groups were declared terrorist groups by the Prime Minister of Swaziland despite lack of evidence that these groups had committed or attempted to commit any acts of terrorism. Any support of these groups is seen as terrorism in Swaziland. 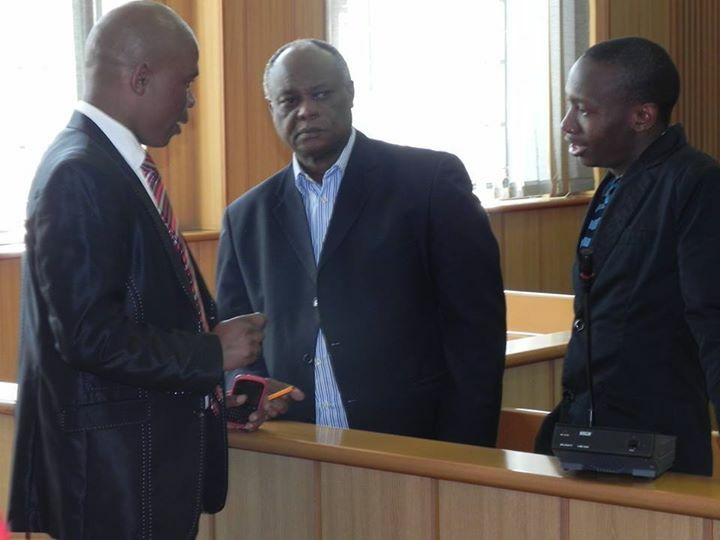 Mario Masuku and Maxwell Dlamini are just two of several more individuals accused of crimes in Swaziland for criticizing the judiciary or government. The Southern Africa Litigation Centre is initiating a Twitter campaign to draw attention to Masuku and Dlamini’s cases and the rule of law crisis in Swaziland that has caused cases such as Masuku and Dlamini’s. Add your voice to this campaign. Support the Swaziland twitter Campaign on Thunderclap. Go to http://bit.ly/1EfmNZf and click on support with twitter, then send out this tweet: “#FreeSwaziland If calling for an independent judiciary is terrorism, then I am a terrorist”. All the consolidated tweets will go out together at the end of this month.